Happy St. David’s Day to you all for Saturday. 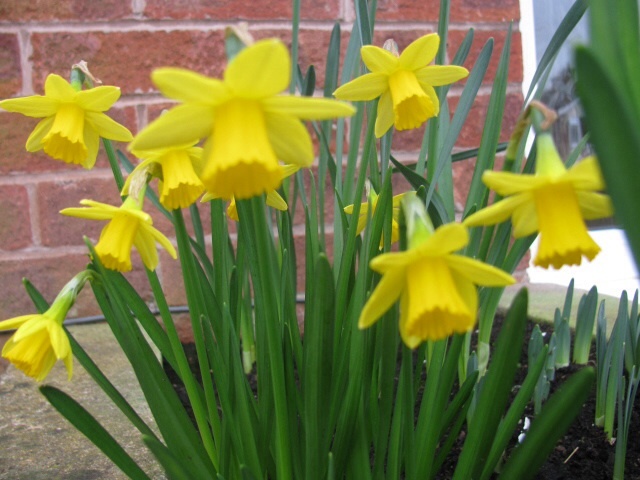 It was so lovely to celebrate it in sunshine with big bunches of daffodils. 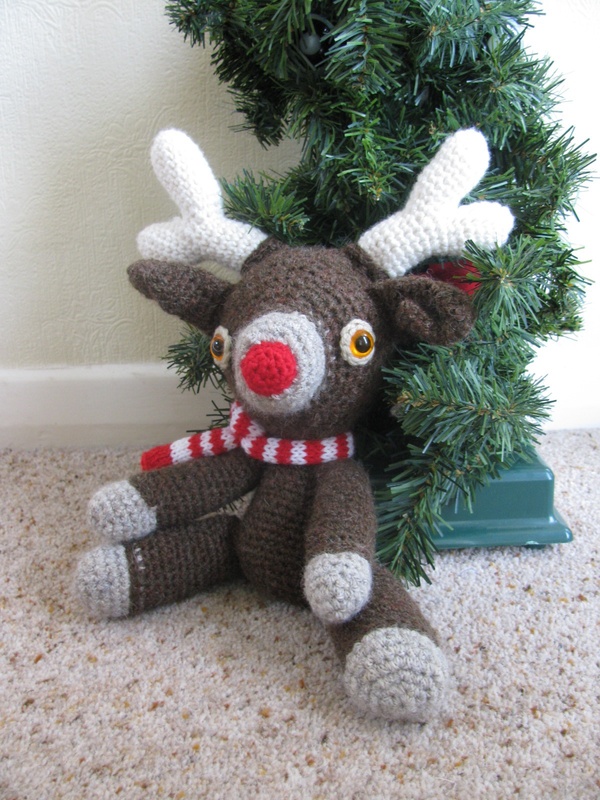 Crochet is so very versatile …. 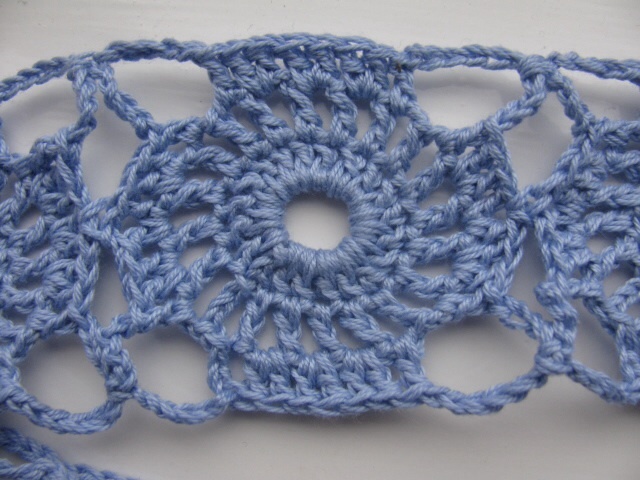 I was reminded of this last week when somebody was fascinated by the granny square border on the cotton top which I have been finishing off. “Nobody does it any more”, she said “and granny squares are so old fashioned”. I had to put her right and enlighten her on the wealth of different projects now available and also the increasing numbers of people wanting to learn the craft. My motif border top is indeed finished and just needs a bit of blocking; I must admit to being pleasantly surprised at how well the design has turned out and how much I enjoyed working with the fine cotton thread – all we need now is the summer weather to wear it. 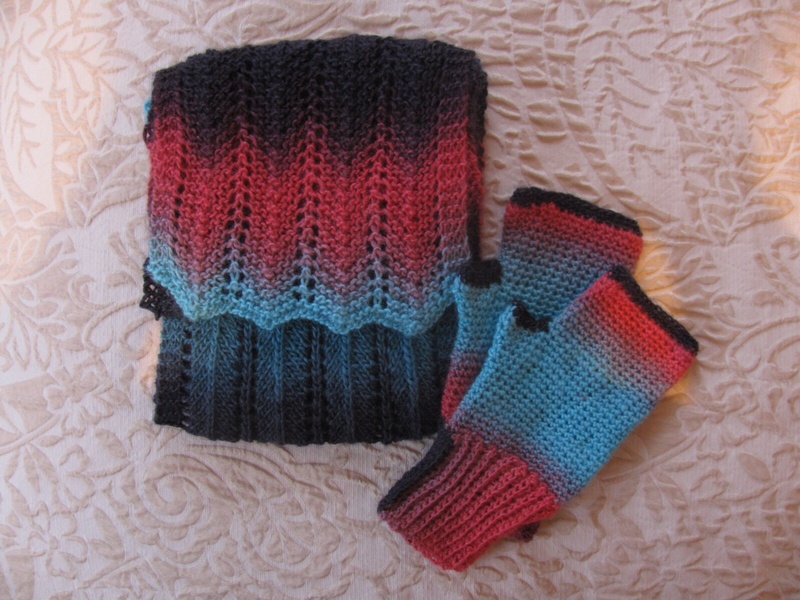 Now, crochet with parcel string is a completely different concept and not kind to the hands. But …. the results can be amazing. 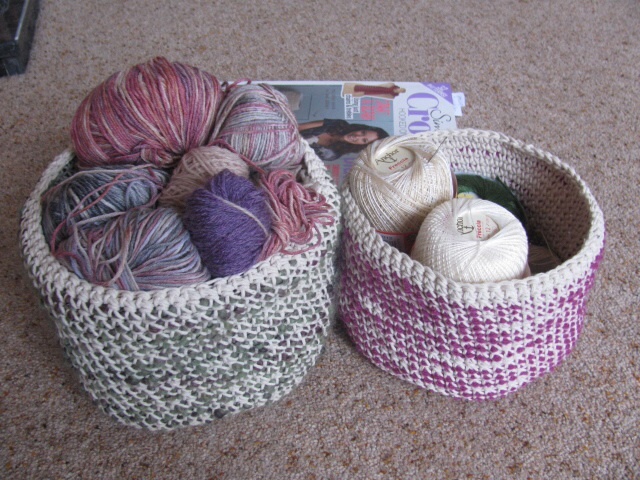 When I saw Vicki Brown’s design for storage containers in Issue 40 of Inside Crochet I was intrigued as to how it might be possible to work in parcel string and incorporate super chunky yarn. 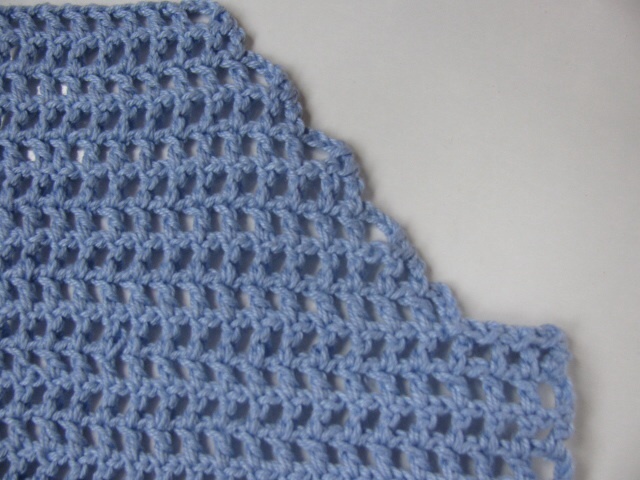 How can a piece of crocheted fabric stand up unaided and be strong enough to put things in? 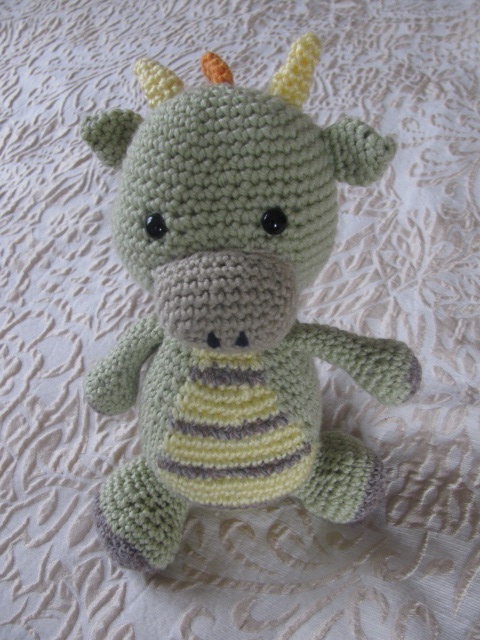 It’s a little miracle of crochet! Here are the results ..
….. and it was both easier and faster than I imagined. 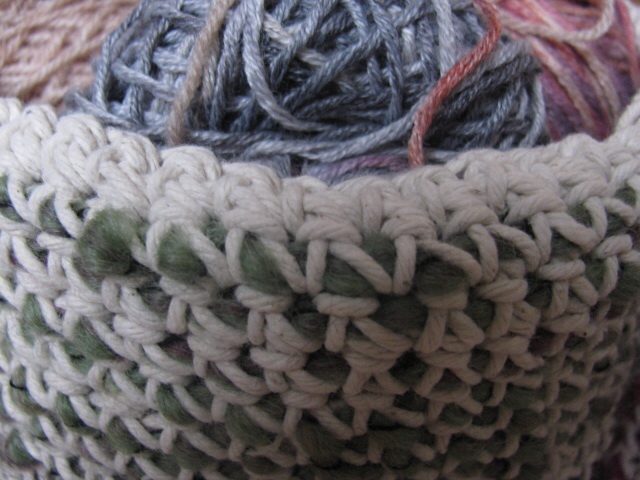 Those balls of chunky yarn lurking in my stash will have a use after all as my storage baskets multiply in number. One of my favorite crochet books at the moment is hook,yarn and crochet by Ros Badger. 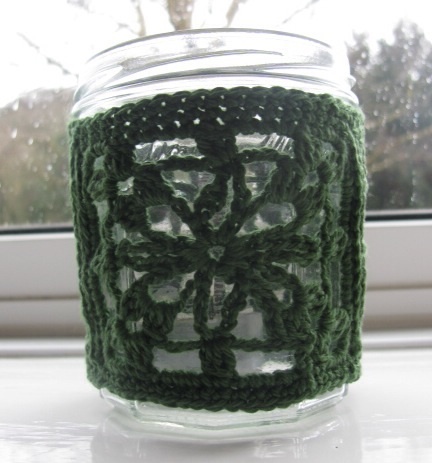 I have already worked some of her crocheted pebble patterns and to give my hands a rest from the rather tough string I tried the Tea light cuffs …. just new my empty Bonne Maman jam jars would come in useful for something. What better way to protect perfumed candles when sitting outside on those balmy summer evenings which we look forward to at this time of year. How lovely is this? You can make one in an evening. I rest my case: crochet is not as passé as people think. For those of us who are hooked on hooking wool, cotton, string or whatever the queue of projects in our to-do list is endless. Better get on with something then…. It’s been a while since I wrote last I’m afraid. My decluttering has brought to light some interesting bits and bobs – amongst them a booklet of beautiful summer crochet patterns, “Crochet: Southern Comfort” by Twilley’s. Now, I know that I don’t usually make garments but one look at these designs had me hankering for a couple of these tops. 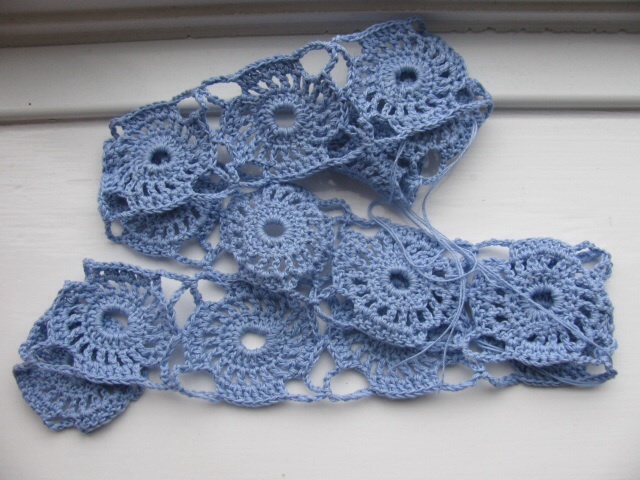 I think it’s all to do with my passion for lace and crochet motifs. 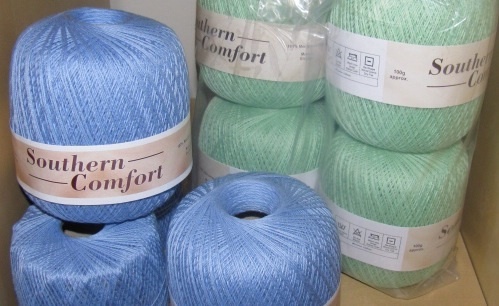 My disappointment to find that Southern Comfort cotton had been discontinued turned to delight when I found the website A Woolly Tail selling their last 100g balls at £1.50 each – a bargain not to be missed! 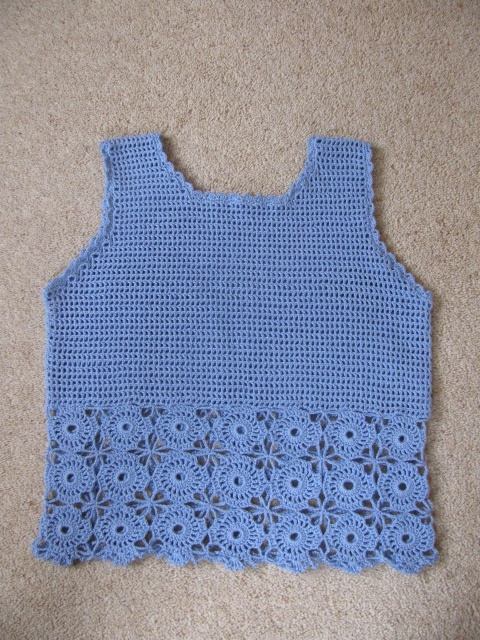 I think the upper part of the top must be what is referred to as filet crochet which I have never attempted before. 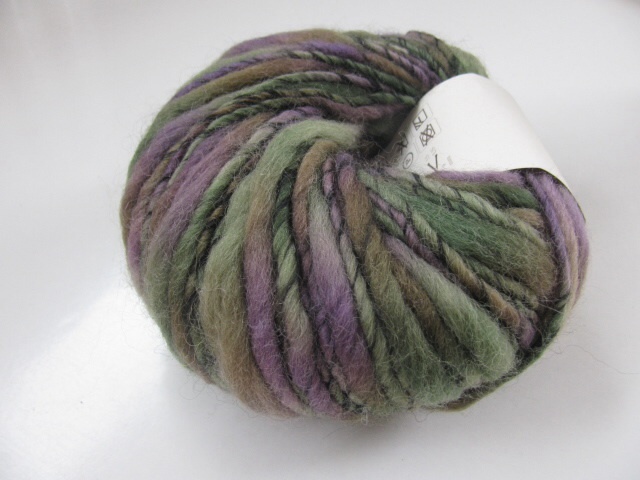 One of my Christmas treats was some yarn from Liberty’s and so last week – on the day of the tube strike, coincidentally – we set off. The day proved a bit of a challenge with all the transport issues but Liberty’s was every bit as beautiful as it had appeared in the TV series shown last autumn. Every floor is a designer’s paradise and the displays are quite stunning. Hooked now on summer crochet I selected Rowan’s Holiday Crochet and Panama yarn for another top …….. love the feel, colour and sheen of this cotton / linen mix. 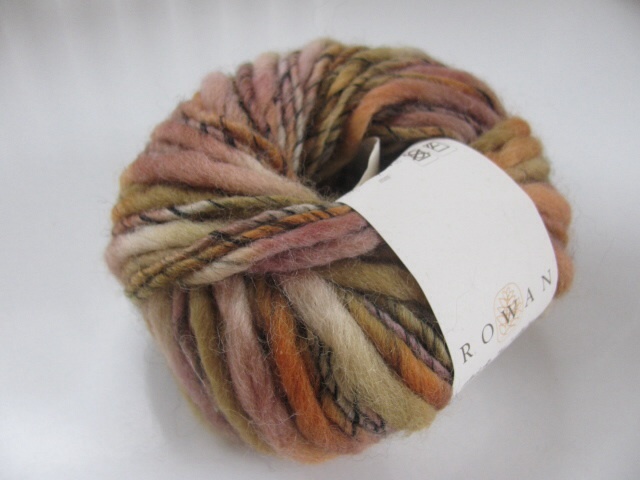 I couldn’t resist the colours of Rowan’s very unusual thick and thin yarn either since I was being treated! 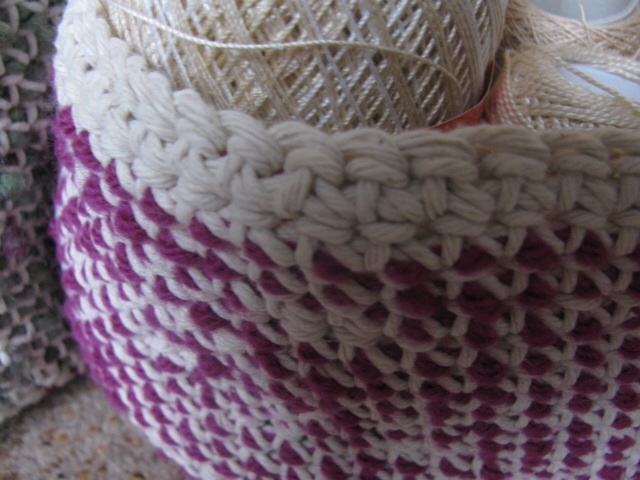 It looks as if it will work well woven with parcel string into crocheted storage containers …. but more of that next time. …. it’s much more purple than I had remembered but I obviously loved it at the time! Also rediscovered was an American pattern for a multi-directional scarf designed to show off self-patterning yarn so a new technique and a way of using up that yarn. What could be better? 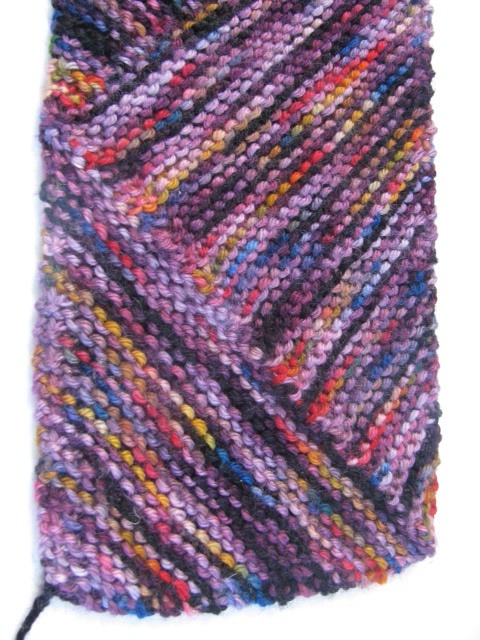 Multi-directional seems to be very similar to short row shaping as in the heels of socks, Frankie Brown’s ten-stitch blanket and mitred squares. 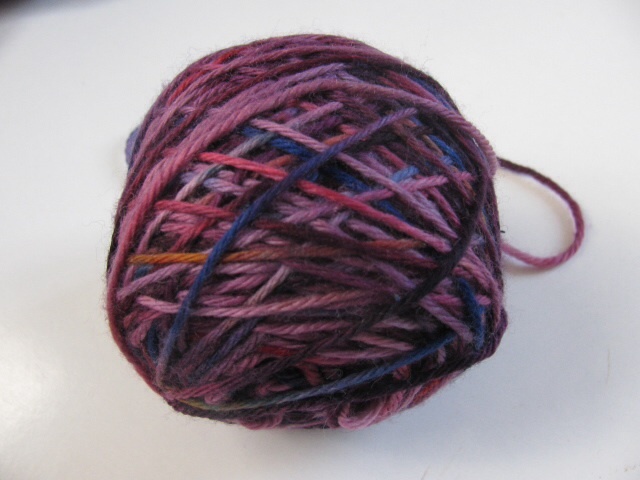 Once you get into it it grows quickly and, as the pattern suggests, does highlight the colour changes of the yarn. 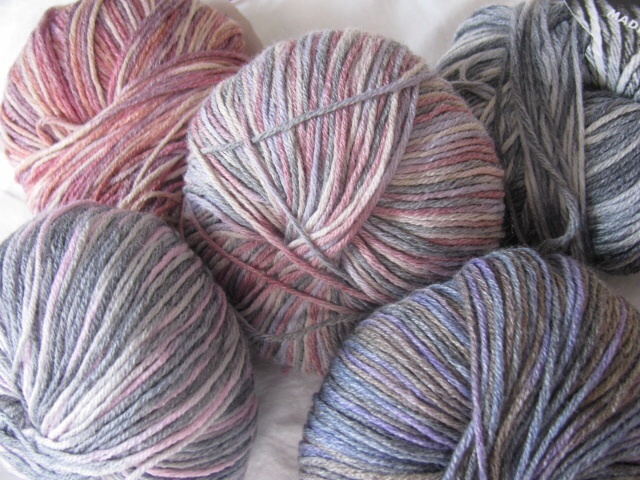 Don’t know about you but I just can’t seem to resist multicoloured yarn – these lovely balls came from Chester. 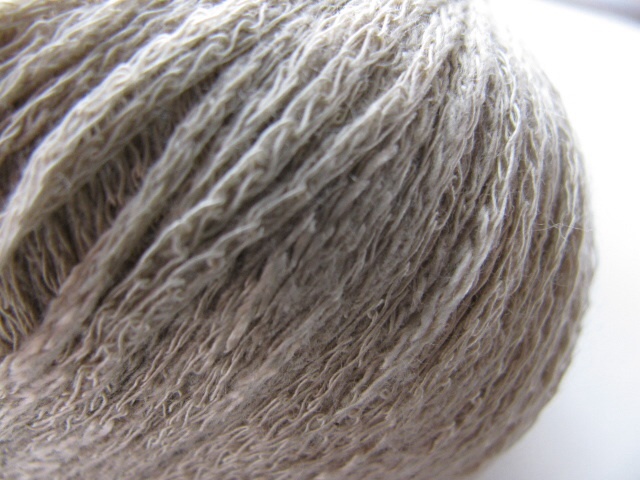 Italian, soft to the touch but with a tension somewhere between 4 ply and DK so I wasn’t quite sure what to make with them. 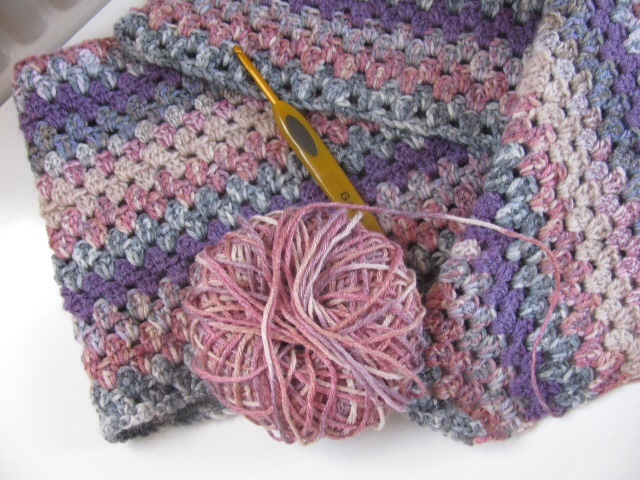 Then it came to me – incorporate them all into a Granny Stripe blanket. What is this obsession with blankets and throws? 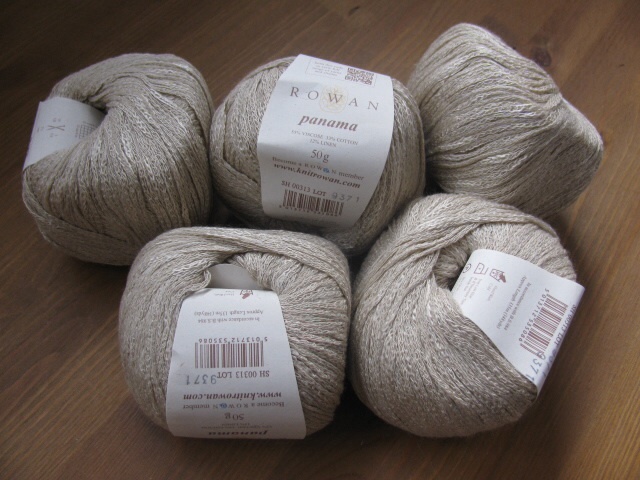 When in doubt crochet a throw – so reassuring to have on the go and you can pick them up at any time to do a row. We don’t really need another one but I’m sure someone will give it a good home. So, here we are … committed to it but pleased with the way it is working out. I have stuck in a couple of stripes in solid colours to highlight the others and as you see purple keeps popping up! Now that two new projects are underway (I’m just not a single project sort of crafter!) 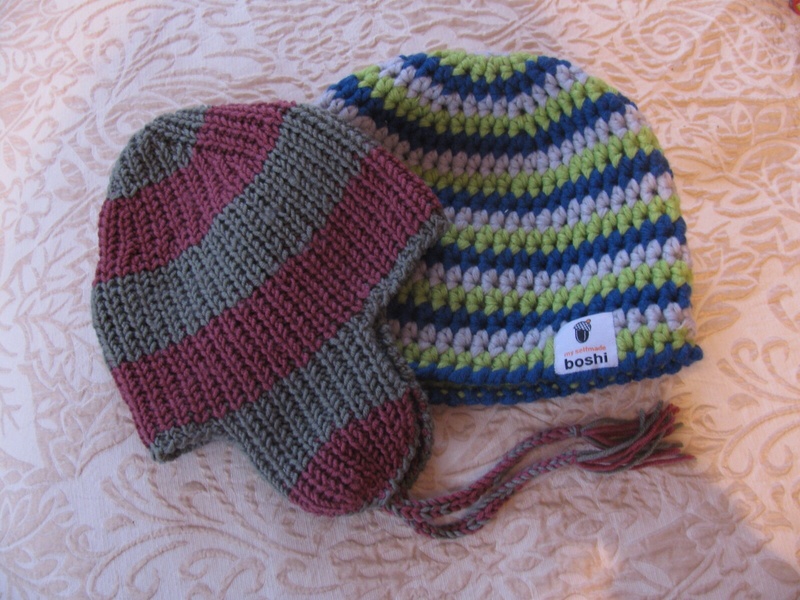 I can get back to my crocheted pebbles and try out some more designs. Slightly belatedly I know, but best wishes for 2014 to everybody. Let’s hope it’s going to be an excellent crafting year for all of us. I can’t wait to get started on some different projects now that all the gifts have been given. 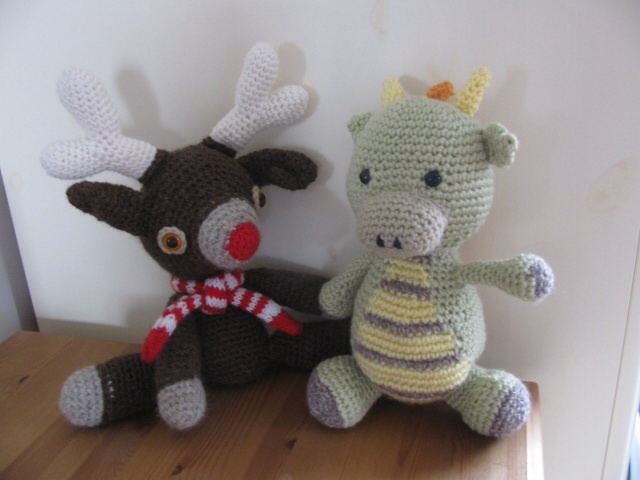 All my Christmas projects seem to have been well received …. Here as promised are some photos of the finished items. On the whole I was pleased – one or two items could have been finished off more professionally and I have certainly made a resolution to start earlier next year. We say that every year, don’t we? Will it happen in 2014? Very doubtful I think. Talking of resolutions – the one decision I did make in the autumn was to store my stash in a more user-friendly way. Some more appropriate storage was needed to deal with the craft-related clutter which has spread to almost every room now! Well, we have been to Ikea and the flat packs have been purchased. Since it was our first experience of buying at IKEA I’m afraid we pleaded ignorance and a very kind assistant came to our aid finding us all the elements we needed. All that remains now is to assemble the units!! Fortunately my son-in-law has agreed to help …. does he really know what he is letting himself in for? So now it’s back to my North Sea cobbles and their crocheted covers; now that I have some decent stones I can’t wait to try out the motifs I was experimenting with before Xmas. 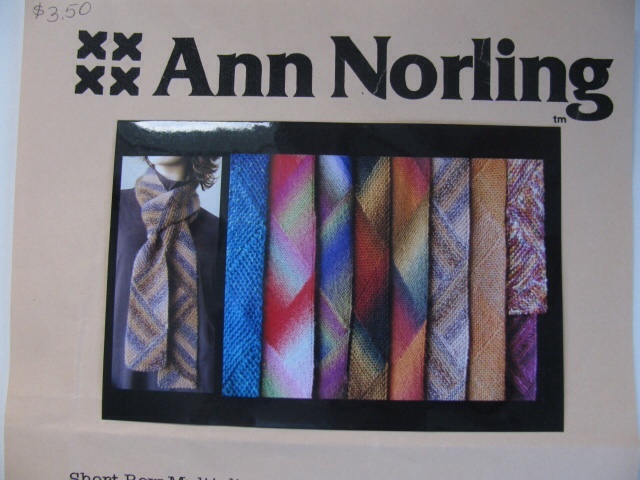 I also want to try out a scarf pattern which I bought in the USA a couple of years ago … came across it during the initial stages of my grand sorting out project. 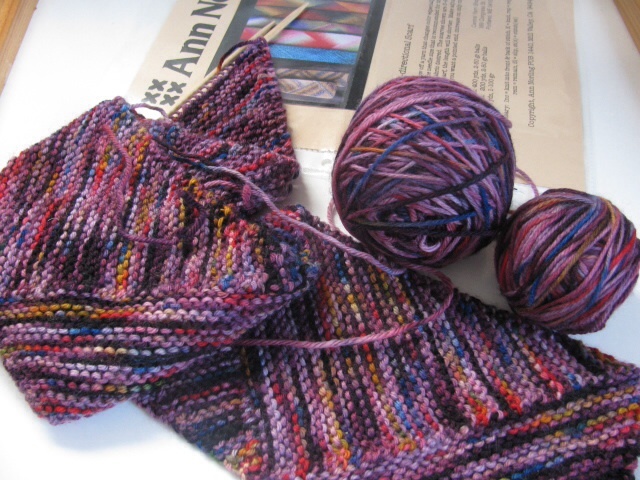 It involves directional knitting which I have never done before so I’m not sure how it will turn out. We shall see.